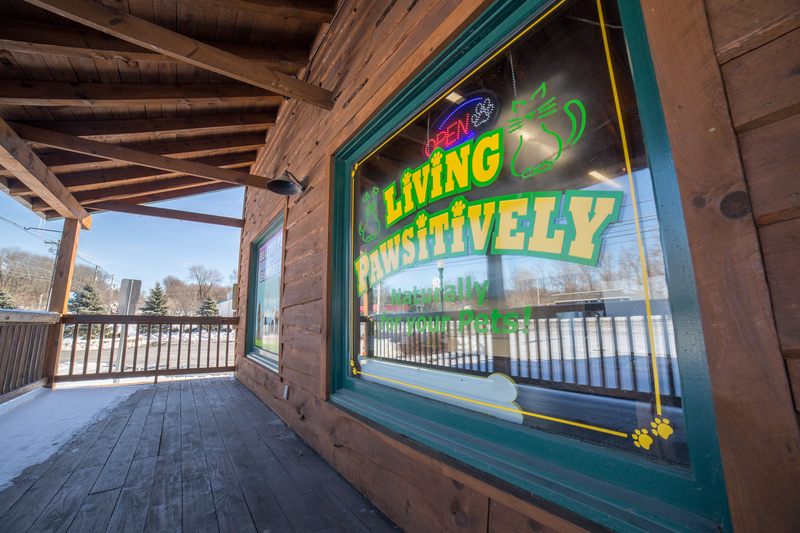 The team at Living Pawsitively in Lafayette Township is here for you and your pets. Learn more about our pet services below. If you are like us, your pets have become family members. Living Pawsitively in Lafayette Township, NJ is a pet store dedicated to the health of your dog and cat. We sell the best in natural dry, canned, freeze-dried, and raw diets. Bring in your food label to compare the ingredients of your current dog or cat food to our high-quality diets. Our treats and foods are all-natural, using no chemical preservatives, by-products, fillers, hormones or antibiotics. That’s exactly what we do at Living Pawsitively, because we love pets. We are your local pet supply store! Our “Barkery” is a snack bar filled with a variety of grain free, natural and organic dog treats! We are partnering with several Rescue Groups to provide pet adoptions and find good, loving homes for dogs and cats. Please call the store to find out when our next pet adoption will take place.